A set of standard reports isnow available for installation and use on later versions of Decisions (for exact compatibility please see below). These are all written in the normal way in Web Intelligence so can be used as examples and/or as the basis for local variants. If for instance you want to add or remove columns, or perhaps use a table or a bar chart instead of a pie chart then the reports can be edited in the usual way. The reports are compatible with Decisions XI R3.1 Service Pack 2 and later. 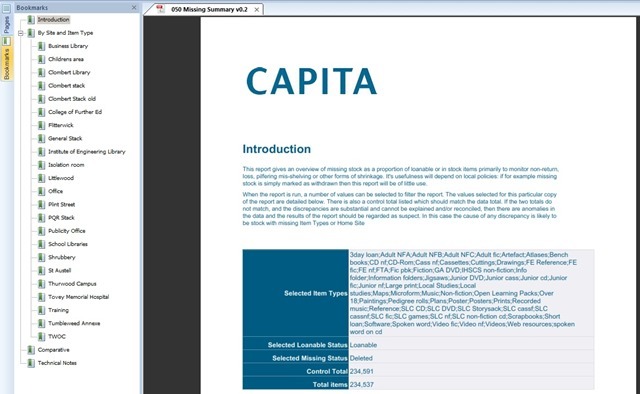 They can be accessed from the downloads area of My Support (https://mysupport.capita-software.co.uk/Downloads.aspx) – the usual login is is required. An installation guide, a user guide and a release note are included in the download package. 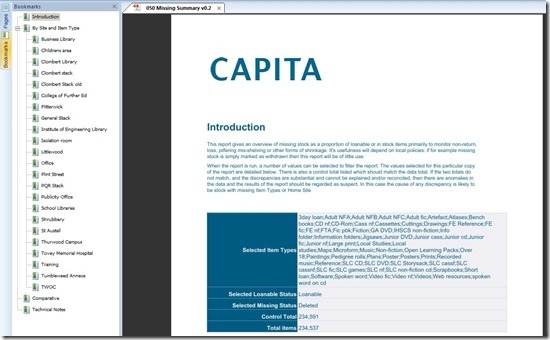 For further details or assistance, please contact libraries-enquiries@capita.co.uk.